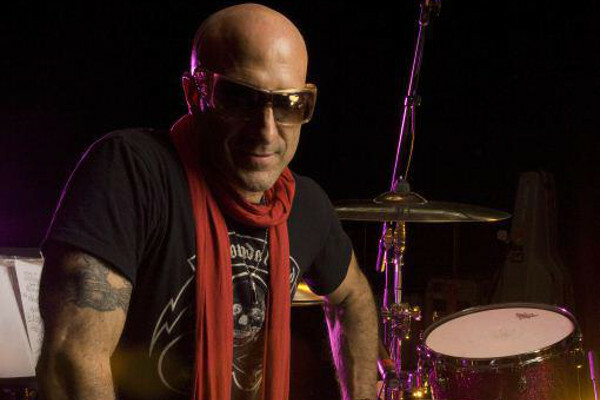 Kenny Aronoff. For liner notes geeks like you and me, the name alone conjures up at the very least, the thought of that one really awesome drum breakdown, one which arguably put Aronoff on the radar of many for the first time. When you get the chance to interview someone like Aronoff, it’s a bit intimidating. Your mind starts to spin as you think about all of the records that this guy has been a part of…..and all of the people that he’s played with and still plays with. But as I discovered the first time that I got the chance to speak with Kenny, he’s an awesome dude. Mellow, humble and down to earth. Which is why when we started sketching out our wishlist of folks that we wanted to talk to here on the Radio Hour, I put Kenny on my short list. It didn’t take much more than sending an email his way to nail something down. From there, it was just a matter of finding a day that would work with the nerve center of constant activity that is Kenny’s schedule of sessions, gigs and more recently, producing. The veteran drummer has been working with Matt Gold, an Indiana-based singer/songwriter who had been making some well received music on his own and decided he was ready to take things to the next level. Aronoff was waiting with open ears and a few opinions and what began as an idea to work on a few tracks together would grow into a full album’s worth of material. Drawing upon his own decades of experience in the music industry, Aronoff built the farm team of musicians (and we’re talkin’ about some well known folks here, too) who would help to put the material down on tape in the proper way that it needed to be done. Aronoff shares the skinny behind this project and quite a few other things with us on today’s edition of the Radio Hour, which we should mention is 93% Jeff Giles-free. We should explain. While Mr. Giles certainly shares my love for the work of Mr. Aronoff, the scheduling of this episode regrettably didn’t allow for his participation. But he did have questions for Kenny, which he faxed over from the backroom of the neighborhood Taco Bell. Our thanks to Kenny Aronoff for spending time with us here on the Radio Hour. Check out his website for all of the latest information including contact details if you’d like to get in touch and find out how you could possibly enlist Kenny’s talents for your next musical project!